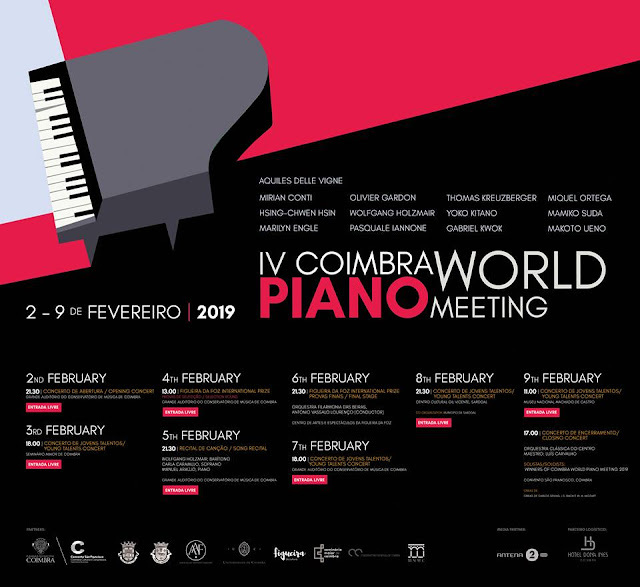 Classified as a World Heritage site by UNESCO in 2013, the city of Coimbra (Portugal), with its magnificent University established in 1290, will be the venue of the Coimbra World Piano Meeting. A major event organized by Academia Internacional de Música "Aquiles Delle Vigne" that will include Masterclasses, Concerts and one Piano Competition. Young pianists from all over the World will have the possibility of working with some of the world leading professors in an unique historical environment, and share their experiences with students from the most diverse countries. The most advanced students will be selected to perform in daily concerts in major halls and monuments, to enrich their development on stage. The best students will perform with a professional orchestra. Academia Internacional de Música "Aquiles Delle Vigne"